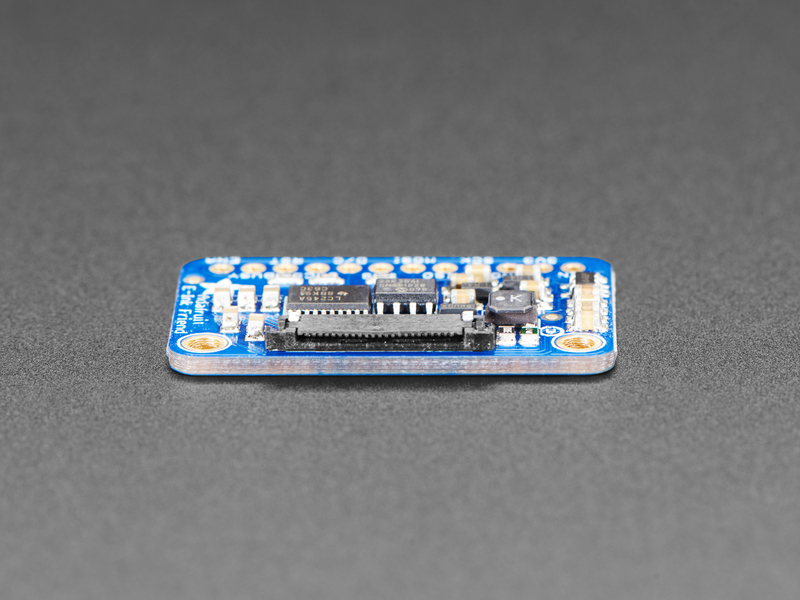 Add some bi-stability to your life with an Adafruit EInk Breakout Friend - your fun pal who's happy to lend a hand when you want to work with EInk/E-Paper displays. 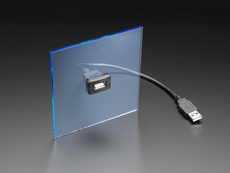 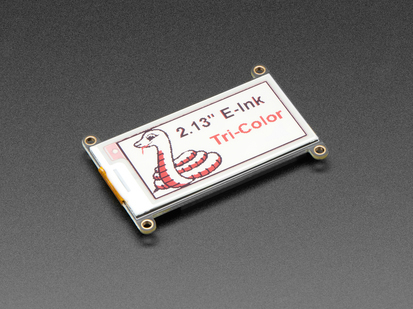 Luckily for us, just about every small-medium size EInk display made these days has a standard 24-pin connection. 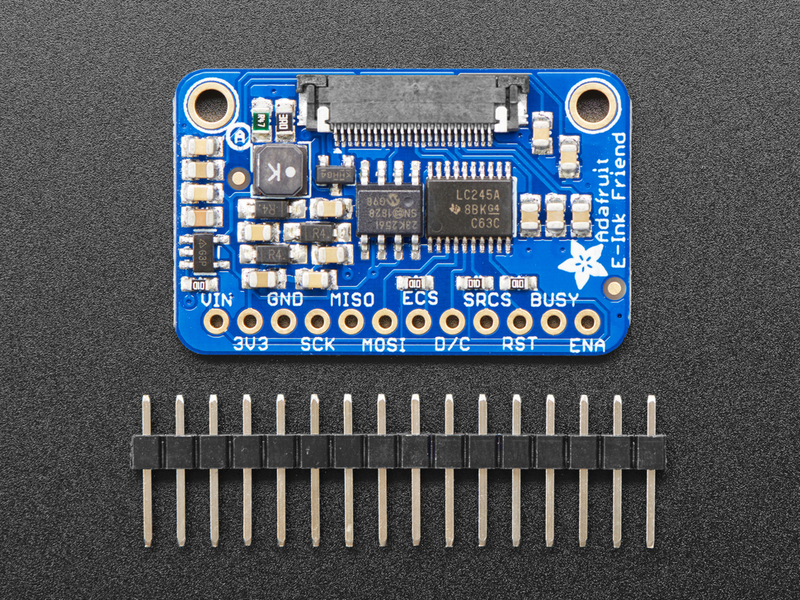 This breakout will add all the power supply support circuitry and level shifting so you can attach your favorite display (up to tri-color 4.2") and wire it up to your favorite development board. 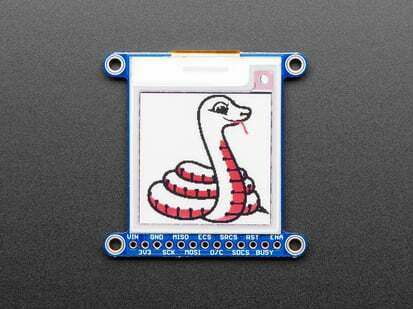 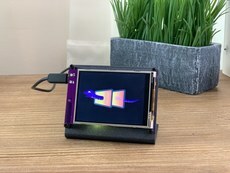 Using our CircuitPython or Arduino libraries, you can create a 'frame buffer' with what pixels you want to have activated and then write that out to the display. 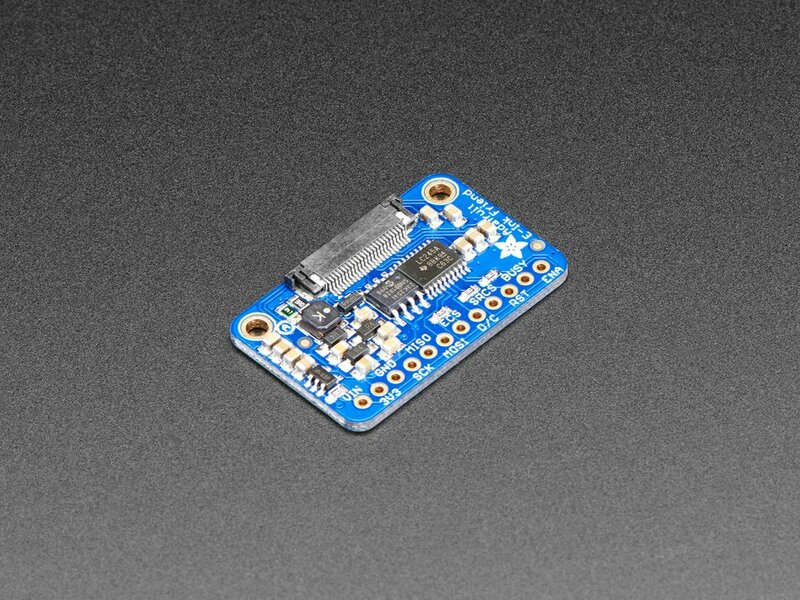 Most simple breakouts leave it at that. 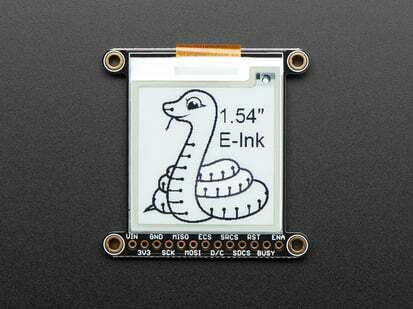 But...just about all EInk displays are write-only and many only let you update the full display (not partial update). That means you have to buffer the full image you want to display, taking up precious RAM. 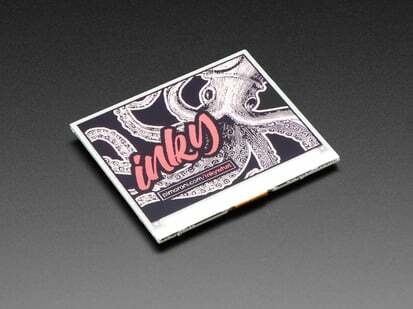 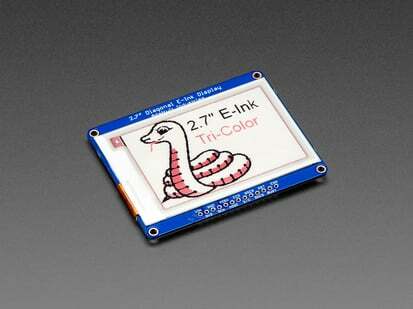 The Eink Friend is much friendlier - it comes with 256 Kilobit (32 Kilobyte) SRAM chip. 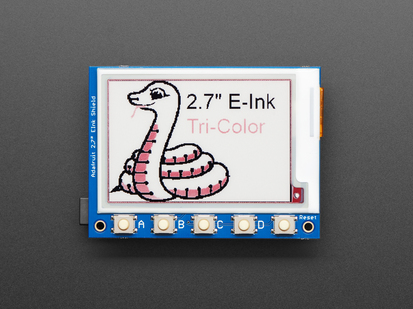 That means you can control up to a 4.2" 300x400 tri-color display (300*400 * 2 colors / 8 bits-per-byte = 30KB). 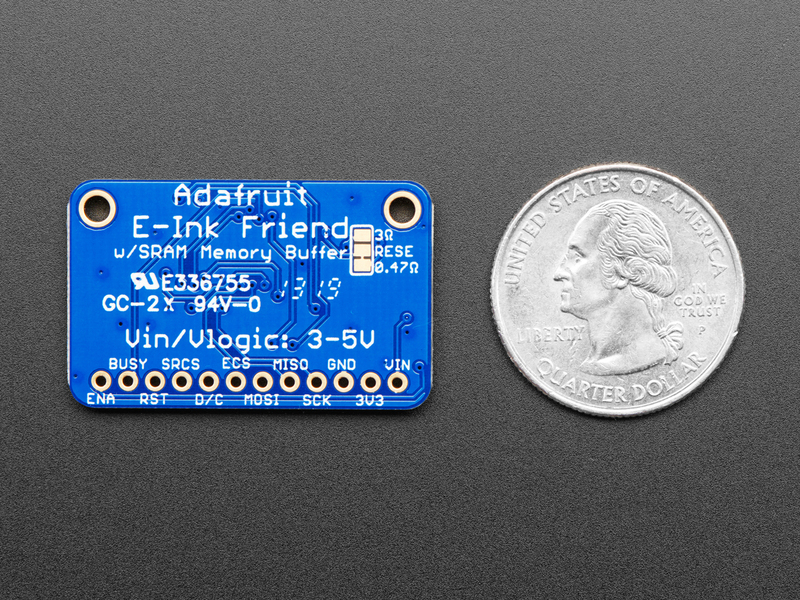 This chip shares the SPI port the eInk display uses, so you only need one extra pin. 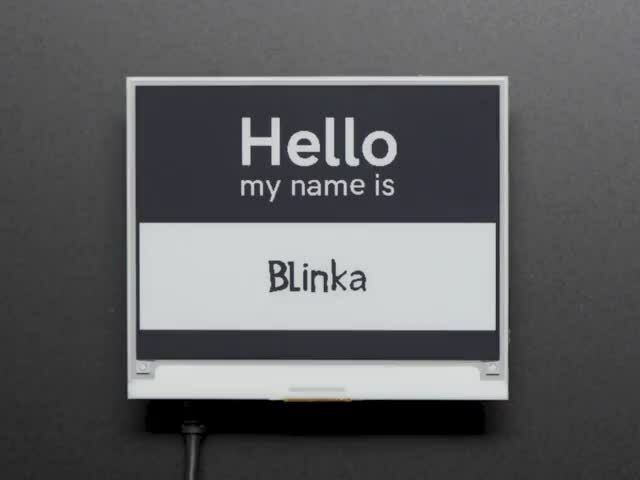 And, no more frame-buffering! 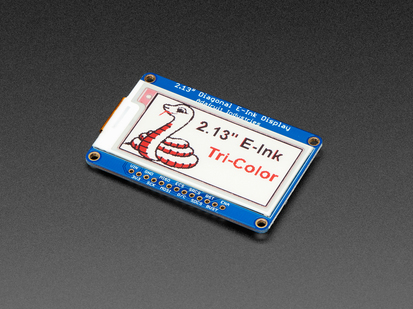 You can use the SRAM to set up whatever you want to display, then shuffle data from SRAM to eInk when you're ready. 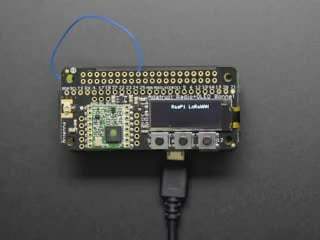 The library we wrote does all the work for you, you can just interface with it as if it were an Adafruit_GFX compatible display. 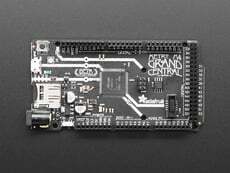 If you prefer not to use the chip, our libraries will automatically use the microcontroller/microcomputer internal RAM. Comes assembled and tested, with some header. 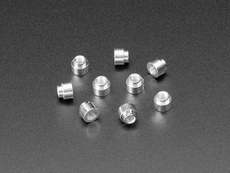 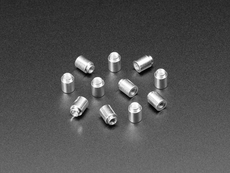 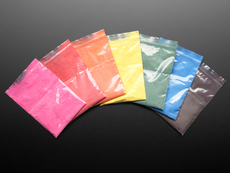 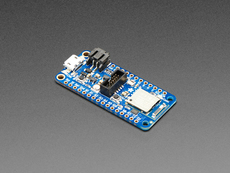 You'll need a soldering iron to attach the header for breadboarding or installing into your project. 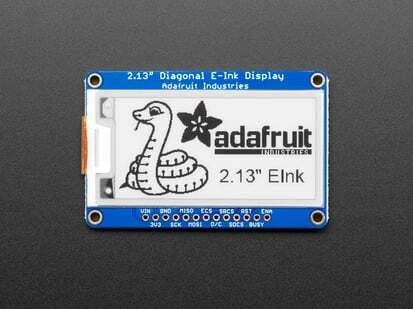 Does not come with an EInk display! 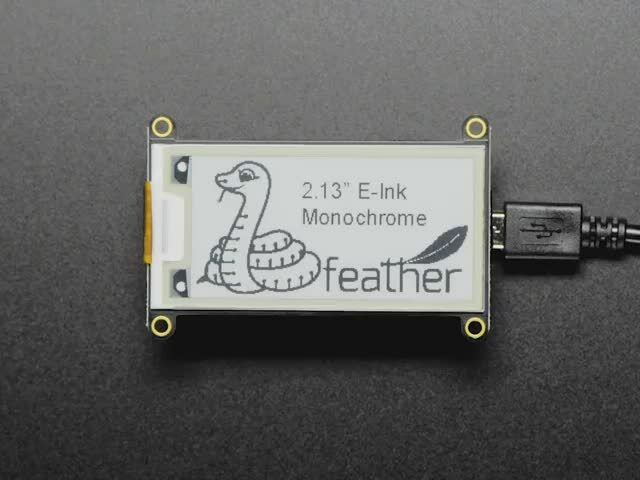 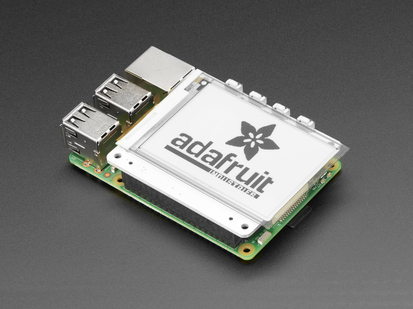 For use with just about any EInk display that has a 24-pin FPC connector. 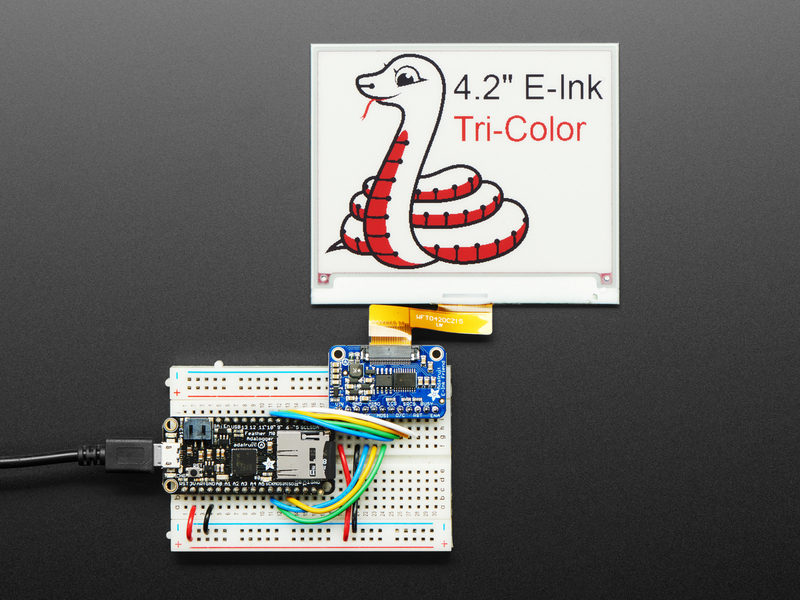 See these schematics to verify that your display matches before purchasing.